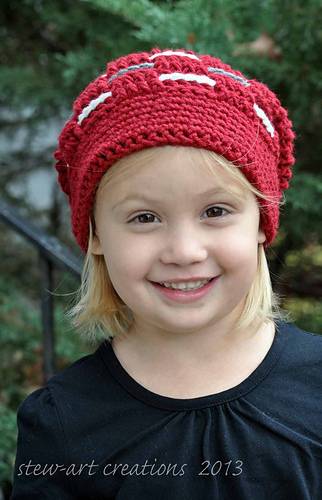 This hat is full of texture and color. 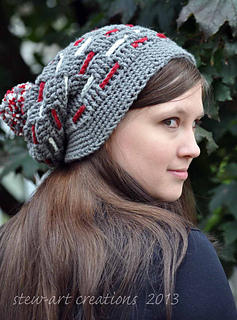 It’s slouchy with a large pompom for fun. 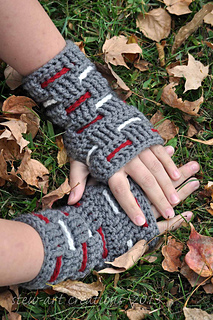 If you are familiar with front and back post double crochet stitches this pattern is easy to make. 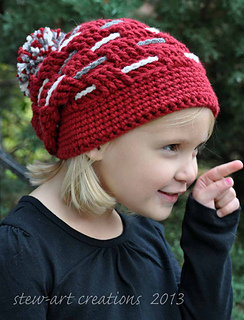 The hat pattern is for an adult size (20-21 inches) but I’ve included a note on how to make the child’s size that is shown in the picture. 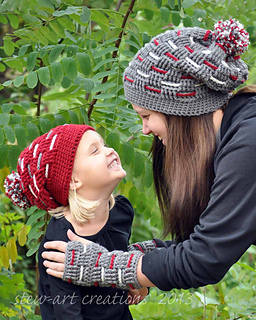 This pattern is easy to adjust to fit other sizes as well. 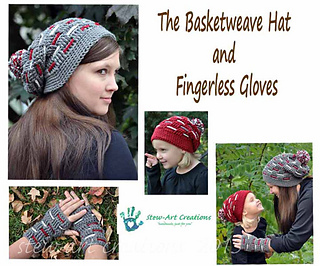 I have also included the Basketweave Fingerless Glove pattern (in the adult size only) because, hey, who doesn’t like an extra pattern, and I think matching sets are cute.